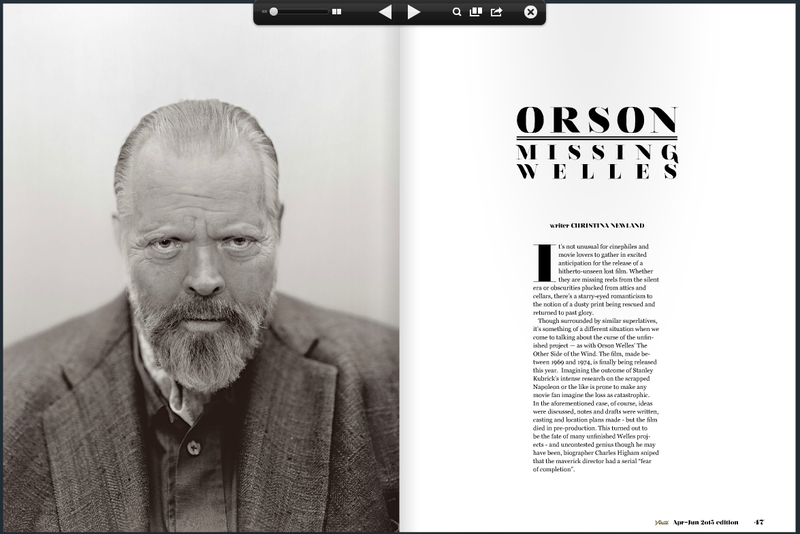 For this month's issue of Verité Film Mag, I contributed to a section on the centenary birth year of the inimitable Orson Welles. 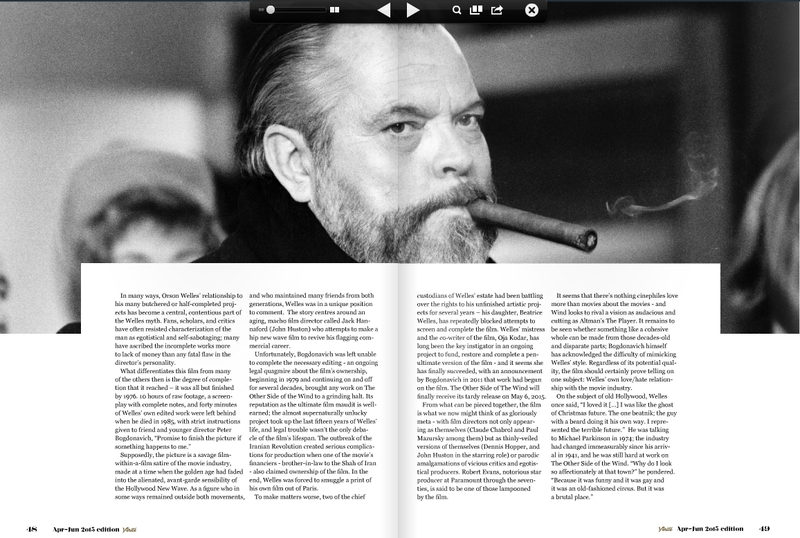 I chose to write about his unfinished project The Other Side of the Wind, starring John Huston - which sees a release later this year. Click on the images above to enlarge or to read the whole magazine for free here.